In the province of Bolzano, Appiano sulla strada del vino (Eppan an der Weinstrasse in German) boasts 180 military constructions, between fortresses, fortified houses and stately homes (in German: Ansitz), all built in the typical architectural style of the Oltradige area: a wonderful blend of Italian Renaissance and German Gothic styles, scattered throughout the territory between a framework of parks, forests, vineyards, orchards. The town's name derives from the Latin name "Appius" or "Appianus" and is mentioned for the first time in a document dated 1116. The earliest archaeological finds date back to the late Neolithic Ages (stone sarcophagi, axes and ceramic materials); interesting are the remains of the Bronze Age (with traces of a small hamlet, axes, arrowheads, nails, needles and buckles) and of the Iron Age (a bronze tunica pin with reliefs of animals, dated around 450 B.C.). The surrounding area was predominantly inhabited by the Reti, a population that copied from the Etruscans, their methods of writing and viticulture. In the I century B.C., the Alto Adige region was colonized by the Romans and the area enjoyed a period of peace and economic prosperity. To the Romans followed the Lombards and, from the VIII century, coinciding with the immigration of people from Bavaria, Appiano became a German-speaking area. 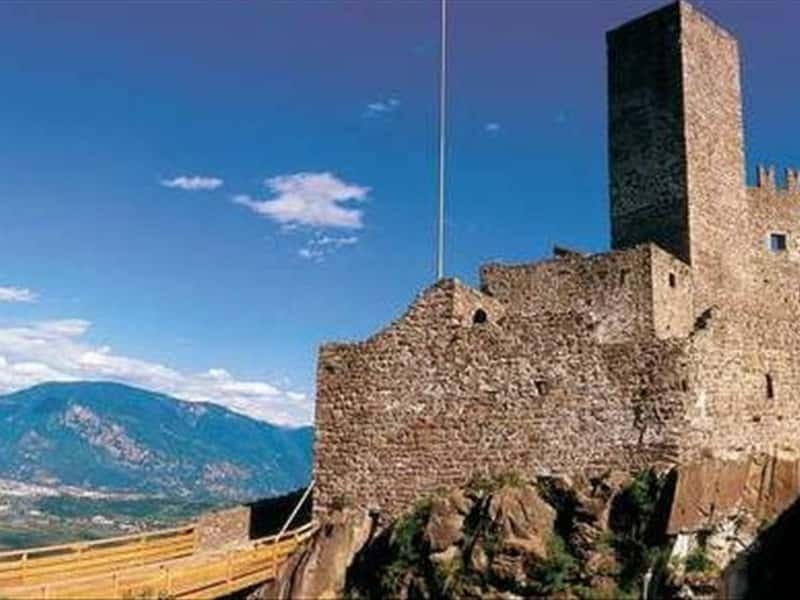 In 1248 the town submitted the domain of the Counts of Tyrol and, in 1363, it passed to the Hapsburgs, who maintained their rights until the end of World War I (except for short period of Napoleonic domain), when it was annexed to the Kingdom of Italy. - the Lakes of Montiggl. This town web page has been visited 45,681 times.